These mounted vases are a stunning example of the Japonisme style, which proved immensely popular among the nobility in late 19th century Europe. 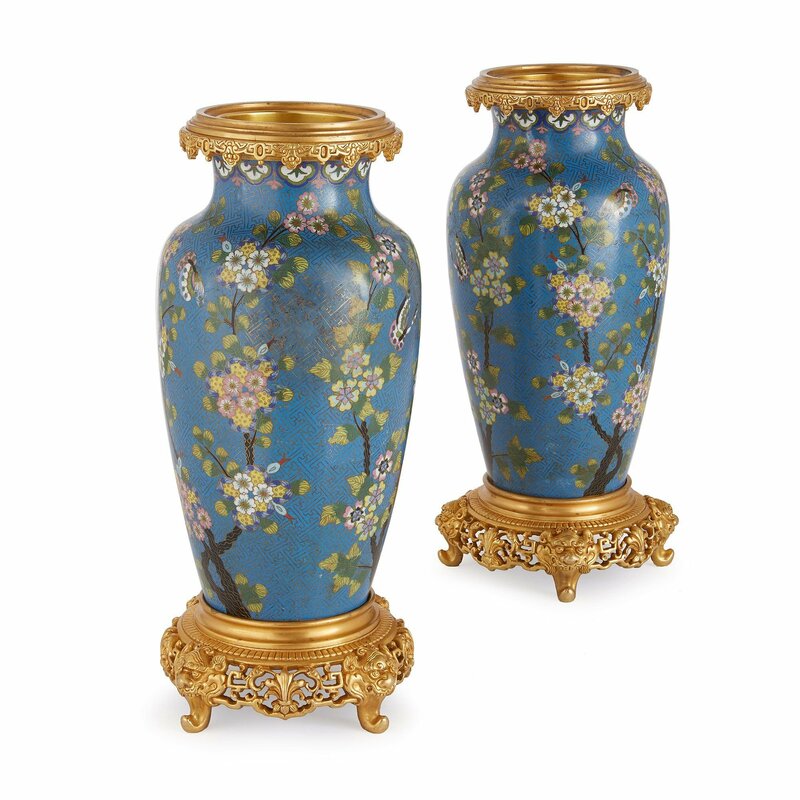 Each vase with an ormolu rim set above a turquoise ovoid body of cloisonné enamel; the latter decorated with images of natural abundance as birds, butterflies and flowers all intricately intertwine on a geometrically inspired background pattern. 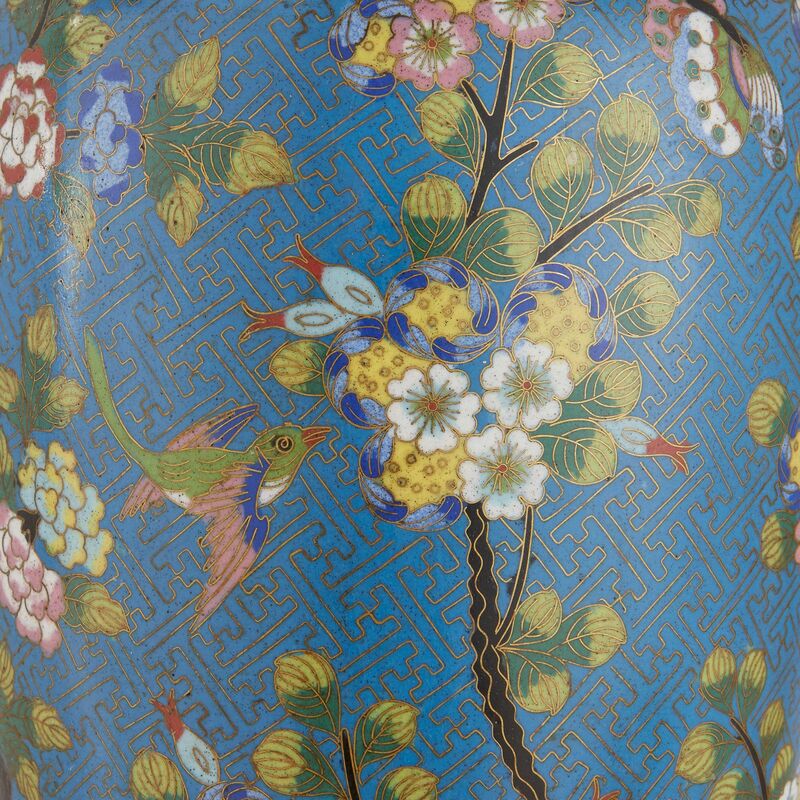 and beauty, rendered in delicate cloisonne. 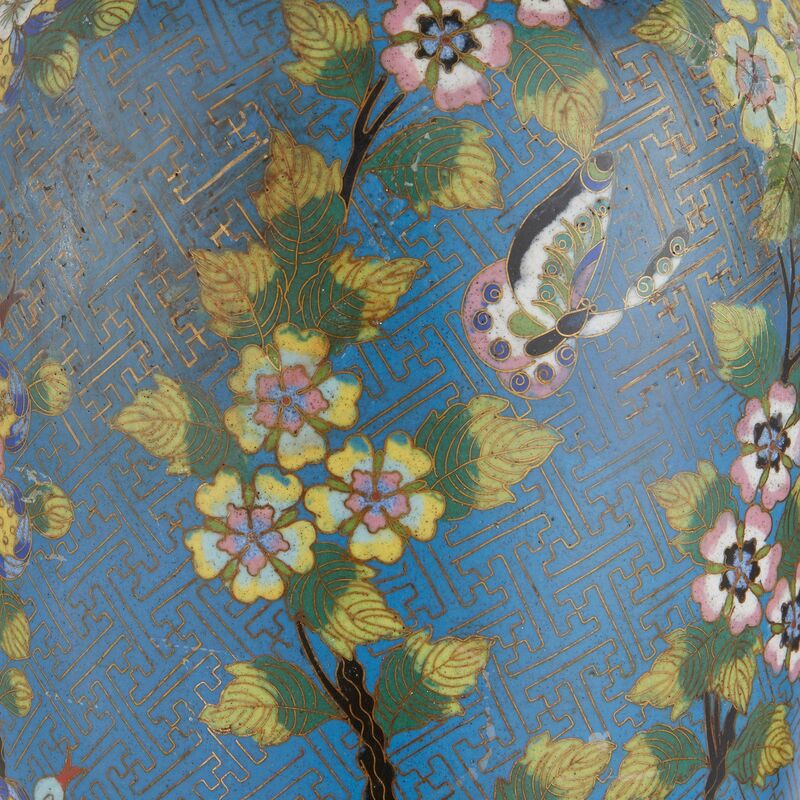 Standing on chimera mask feet, the pair exhibit the skill and beauty typical of 19th century Japonisme.